It is very common for bariatric patients to fear regain after having bariatric surgery. Having the surgery to begin with is a courageous step towards reaching their health goals. For many, bariatric surgery is a tool that individuals see as their last-ditch effort to lose the weight and keep it off long term. However, it is important to remember that surgery is a tool that kick starts the weight loss process, and post-op patient accountability is required. Bariatric surgery does change lives and at the same time it’s important to note that having the surgery is only ONE piece of the weight loss solution. Regain happens when bariatric patients return to their pre-surgery eating habits, or have not processed how to handle overwhelming life issues which can cause stress, sleep issues, a lack of planning and prioritization. This in turn results in regain. 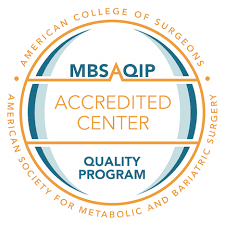 Therefore, it is important that every bariatric patient take small steps to ensure they do not return to their pre-surgery habits so they can keep the weight off for good. Saying NO to regain begins in the mind of the patient and moves through their household. It begins with simple steps of making conscious choices about the foods you eat, the decision to move your body daily, and asking for help in getting back on track when struggling. This is what I refer to as a mindset shift. Additionally, many individuals struggle with emotional eating after surgery because they might have never noticed they had underlying depression or anxiety. The surgery helps individuals lose the weight quickly, however it does not create psychological change. This is the responsibility of the patient. If you notice that you are grazing, overeating, or stress eating, or eating off track, it may be a sign that you need additional help. No one wants to regain. In helping thousands of people through the years keep the weight off, there are small daily steps you can take to help you take back control over your brain and behavior. When you plan ahead and prepare your food, you have control over what you are eating. Also, you have the opportunity to create meals that are both tasty and nutritious. This helps you keep both your new pouch and your taste buds satiated. If you do not like your food, you may look elsewhere and overeat. Meal plan and meal prep is important for both proper planning and nutrition. This also helps you avoid impulsive eats and the dangers of drive-thru. Another prep hack is to plan your non-negotiable foods when you need to stop for a fast bite. Keep a list of non-negotiable foods that are healthy options for you to pick up on the go. This way you are not tempted to eat off plan if you have your go-to food already chosen ahead of time. No matter where you are in your weight loss surgery journey, tracking your food intake is essential. If you are two months or nine years post-op, tracking will always help you see what you are eating. The purpose of this is to keep you on track and focused. This also helps you see if there is a correlation between your emotions and eating off track, which can help you refocus your mind and behavior. Additionally, I’ve created a meal/food tracker that integrates meal planning with grocery shopping and tracking your fitness and food with how to practice awareness of your emotions. You can check this out on Amazon here. Everyone has bad days. No one is immune to this. It’s part of being human. However, there are many post-op patients that struggle with managing their emotions or start to recognize that they have anxiety or depression that they never realized they had before. This may be because prior to surgery you may have eaten your feelings. After surgery, it’s essential to practice awareness of feelings so that you don’t turn to food when you are angry, frustrated, disappointed, anxious, etc. Also, if you are struggling with feeling your feelings, it might be time to get additional help so that you can gain new tools to cope and shift your behaviors. Some people call it exercise; I like the phrase ‘move your body’. This is because so many people are psychologically programmed to think that ‘exercise’ happens in a gym or must be painful or unpleasant. The truth is you can move your body at anytime and anywhere. You can have a dance party in your living room and burn calories. You can go for a walk, do some squats, etc. You can go for a swim, or jog in the park. Sure you can do yoga at a fancy studio, or you can pull up YouTube and do a yoga video in your bedroom. The point is not WHAT you do, or WHERE you do it, it’s only that YOU DO IT. Of course you’ve heard that movement increases endorphins, the feel good hormone in your brain, so why don’t people do it more? It’s because most people have been programmed to think it is ‘work’ or that it is ‘hard’. When we reprogram our minds to find the FUN in movement everything changes. This once again, is a mindset shift. So, no matter what, no matter where, start to move your body. Start small and work your way up. Have fun with it and pace yourself. Once you get going, you’ll see the difference in how you feel, and you will also notice how much you grow to like it. This will help you retain healthy amounts of muscle mass which will help you to continue to burn fat, and will keep your cardiovascular system in shape. Within the weight loss surgery community, I have noticed a lot of shame, blame, and guilt. People hide their feelings, they hide their struggles, and they hide when they feel like they are falling backwards. I can’t tell you how often a patient will ask me if they should postpone their follow up appointment with their surgeon because they ‘fear’ that they have gained weight. They want to postpone appointments due to shame, disappointment, and wanting to hide because they fear they will be chastised. The truth is the surgical centers want to re-motivate people, help them get back on track and grow beyond their regain so they can lose again. However, the shame is so strong people will stay at home rather than face the fears. At this point in time, or at any point in time when a patient is struggling, it’s essential they reach out for help and guidance. Only when the surgical center or a therapist or other helping professional knows about the struggles can they intervene to help that person get back on track. So, if you ever find yourself struggling reach out to your surgical center so they can guide you to new tools or resources to help you in your post-op lifestyle changes for the long-term. Use these strategies in your post-op process to lead you to success and to avoid regain. Start small and work this system step by step and you will be sure to see results. If you need additional help regarding post-op lifestyle change, please visit us at Georgia Surgicare, we offer informational blogs, self-study courses and group coaching programs to help people overcome emotional eating, obtain new healthy life skills (time management, overcoming procrastination, meal planning, and boundary setting) in order to keep the weight off long-term. Kristin Lloyd, MS, LPC/LMHC has been creating outstanding results for individuals, couples, and organizations for over 10 years as a highly-accomplished psychotherapist, transformational coach, Reiki master, energy psychology practitioner, college educator, and consultant. Through her invigorating and transformative facilitation skills, Kristin has been guiding individuals, couples, and executives to achieve dramatic breakthroughs in mindset and motivation, self-confidence, productivity, commitment, interpersonal communication, conflict resolution, stress reduction, and aligning with their soul’s purpose as well as reinventing one’s future for success.